Newberry Library | First Nations Film and Video Festival, Inc.
First Nations Film and Video Festival, Inc. 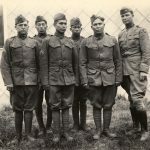 The heartfelt and personal story of Choctaw soldiers whose dedication and bravery assisted in ending World War I, even though as individuals, the men were not recognized as American citizens. Arising from the Great Tribes of the Navajo and Hopi Peoples, the Honor Riders began in 2003 to celebrate the life of Lori Piestewa, the first Native American woman to be lost in battle. The Honor Riders are a group of Veterans and their supporters who gather each year before Memorial Day in May to honor the missing and the fallen; to ride for those who cannot. To remind everyone; whether they are Past or Present, a Warrior remains a Warrior, and Freedom is never Free. Then, each month, FNFVF Inc. and the D’Arcy McNickle Center will present a new screening around various themes and topics. Subsequent dates include December 9, January 12, February 9, March 9, April 13, and May 11. Thank you to Susan Sleeper Smith, Patrick Rochford, and Alex Teller for their extraordinary assistance in putting this together. Join us for the first of the series on November 10 beginning at 1:00pm. For more information visit the Film Series page on the Newberry Library website. Join us for the next screening in the film series: DECEMBER 9, 2019. Chicago, Illinois) The Spring 2015 First Nations Film and Video Festival is an event dedicated to Native Women Film Directors and Video makers. All FNFVF Inc. programs are free and open to the public. 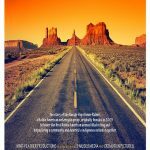 Dedicated to providing a venue for the long-overlooked Native American voice in media since it began in 1990, First Nations Film and Video Festival Inc. is the only festival that deals exclusively with Native American filmmakers of all skill levels. Visit the Spring 2015 Application Page for information. FNFVF Inc. asks that you read our guidelines very carefully. We look forward to hearing from you, screening your works, and promoting your voice.